SYDNEY veteran Jarrad McVeigh has received an early present for his milestone week after welcoming his third daughter into the world. McVeigh's wife Clementine gave birth to baby Florence on Tuesday, meaning the defender is set for his 300th game against Geelong on Friday night. The former co-captain said he was never going to miss the crunch semi-final against the Cats at the MCG. 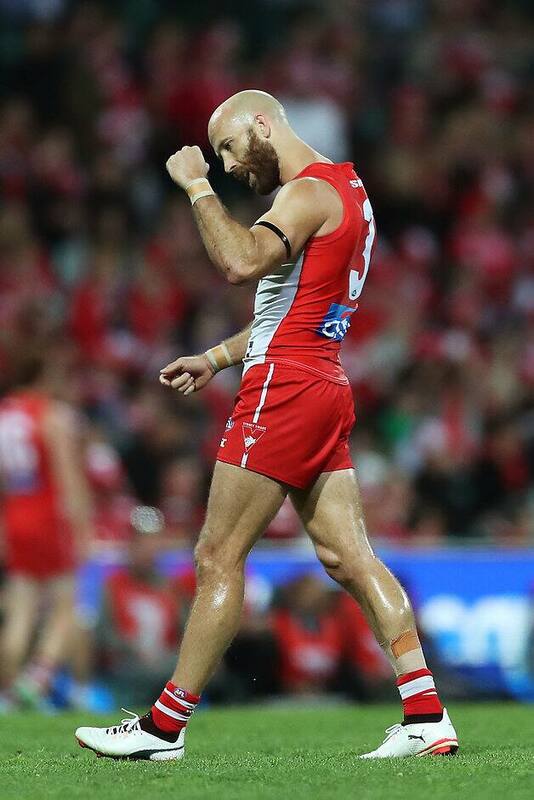 McVeigh admitted that with such an important event happening in his personal life, plus a massive final on the horizon, his own milestone hadn't taken up too much of his focus this week. The 2012 premiership captain, dual club champion and All Australian defender will become just the fourth Swan to play 300 games on Friday night, joining former teammates Adam Goodes (372 games), Jude Bolton (325) and Michael O'Loughlin (303) in the exclusive club. "I was lucky enough to play in Jude, Goodesy and Micky O'Loughlin's (300th) and saw how special it was to them, and that’s no different for me, I'm extremely proud," he said. "From growing up in New South Wales supporting the Swans, and coming to the SCG games when nobody was here, to seeing what we saw on the weekend with the full house, I'm extremely proud. "It meant the world to come out of school and be drafted, and be able to stay at home was fantastic. "I looked at the best trainers and the best players and just tried to live in their pockets, guys like Paul Williams, Stuart Maxfield, Brett Kirk, Adam Goodes, Barry Hall, so I owe a lot to those guys. "During my career, apart from my family, they've taught me everything I know." McVeigh scoffed at suggestions his teammates would lift in honour of his big night, and maintained all their concentration was directed at Geelong and keeping the season alive. "It's a semi-final, we've got a chance to get into a prelim so there's no extra motivation, I wouldn't have thought," he said. "I'd expect that even it was my first game. "The boys are really professional in the way they go about it and I expect a fierce contest from both sides."